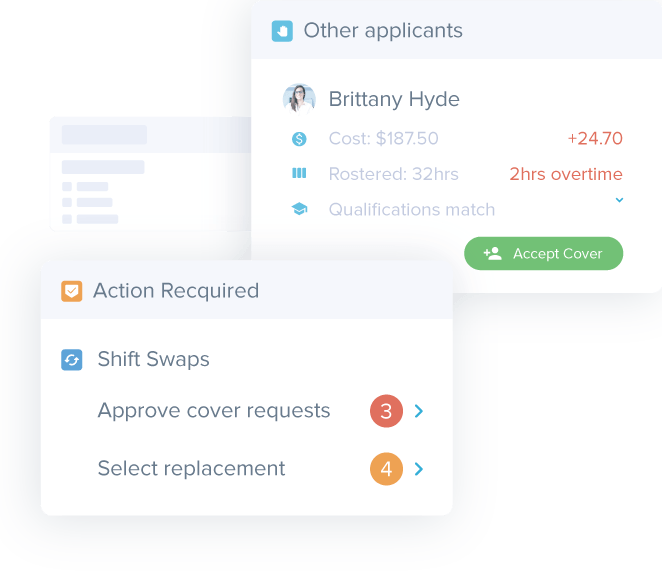 Approve shift swaps with complete oversight of costs and compliance. 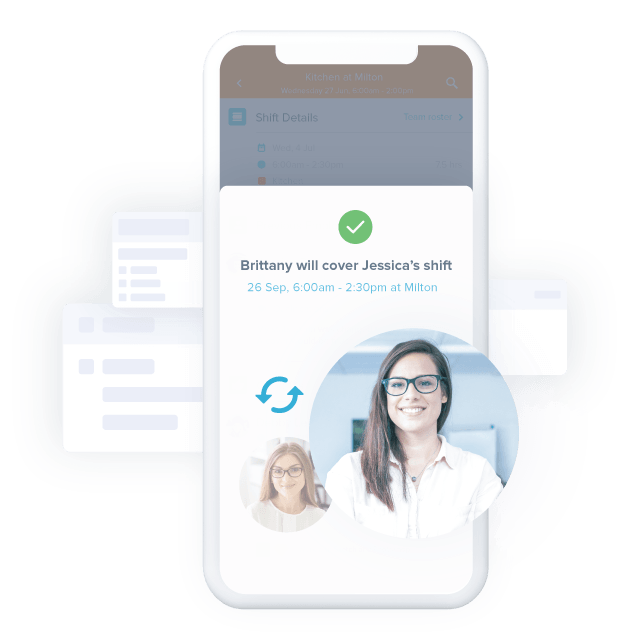 We built shift swapping with business outcomes in mind, so you can reduce no-shows and stay in control. When employees aren’t able to work a shift, offer it to other staff to make sure it gets covered. Decide which shift swaps to broadcast and who fills each shift from the managers’ app. 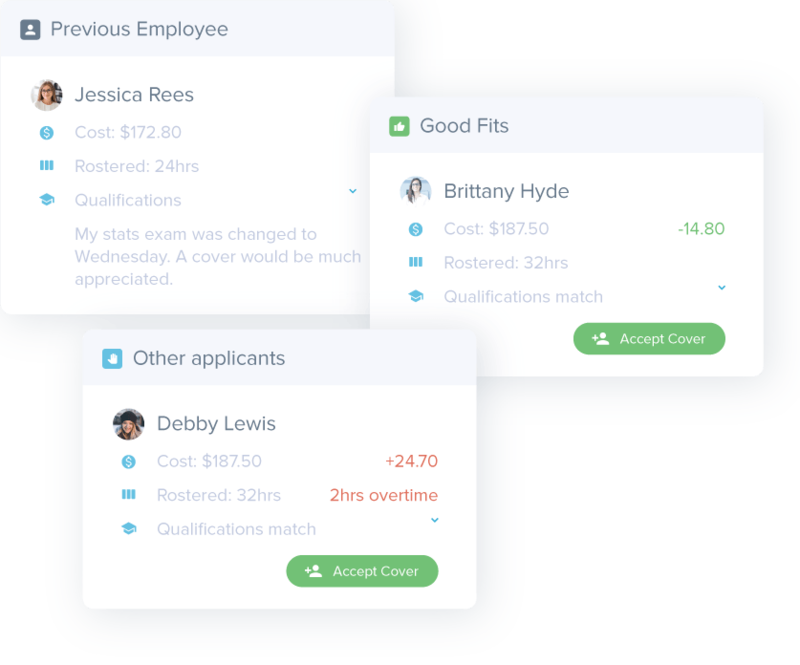 Tanda will notify you if an employee who offers to fill a shift is about to go into overtime. Managers can choose to broadcast the shift to all available staff or offer it to select employees. Keep wage costs in check with award interpreted costs shown against all potential swaps. 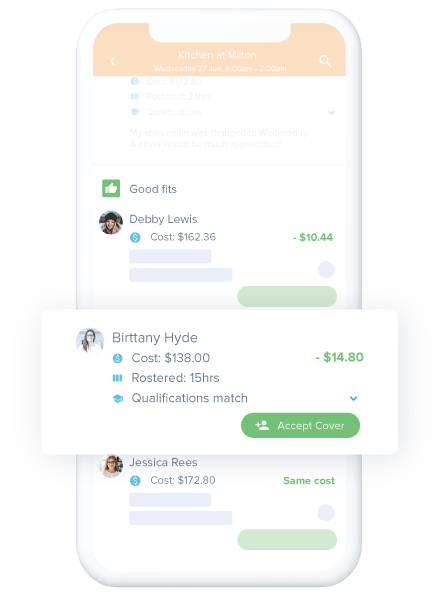 Approve shift swaps while staying in control of your wage costs. Make the right shift swap every time with Tanda’s intelligent staff selection tools. We suggest good fits for a shift based on numerous factors including cost, availability, qualifications, fatigue management, and any other custom rules you build.